Compared with Q4 2017, seasonally adjusted GDP rose by 1.2% in the Eurozone and by 1.5% in the EU in Q4 2018. Annual 2018 GDP growth was 1.8% in the Euro area or Eurozone and 1.9% in the European Union. All these numbers are preliminary estimates and could be revised later. Meanwhile, Italy’s economy tipped into recession at the end of last year based on the latest statistics from ITSAT, the statistical office of Italy. In Q4 2018, the economy shrank by 0.2%, following a 0.1% decline in Q3 2018. Two quarters of negative growth is a technical recession. The Italian Prime Minister Giuseppe Conte expects the economic contraction to continue for a few quarters. Italy has the biggest government debt among European Union members at more than €2.3 trillion ($2.6 trillion). Italy’s government debt to GDP currently stands at 132%, which is second to only Greece in the European Union. 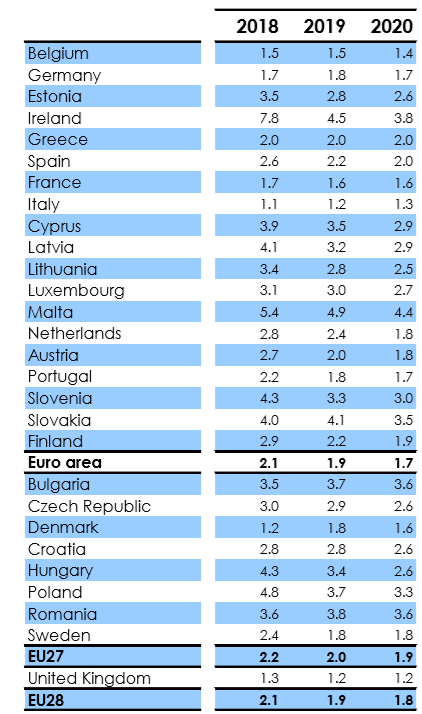 Some other Eurozone economies are growing relatively well compared to Italy, with France and Spain posting growth rates of 0.3% and 0.7% growth in Q4 2018 (vs Q3 2018). Germany now expects to grow by just 1% in 2019 due to slower global economic growth, trade uncertainty and Brexit. 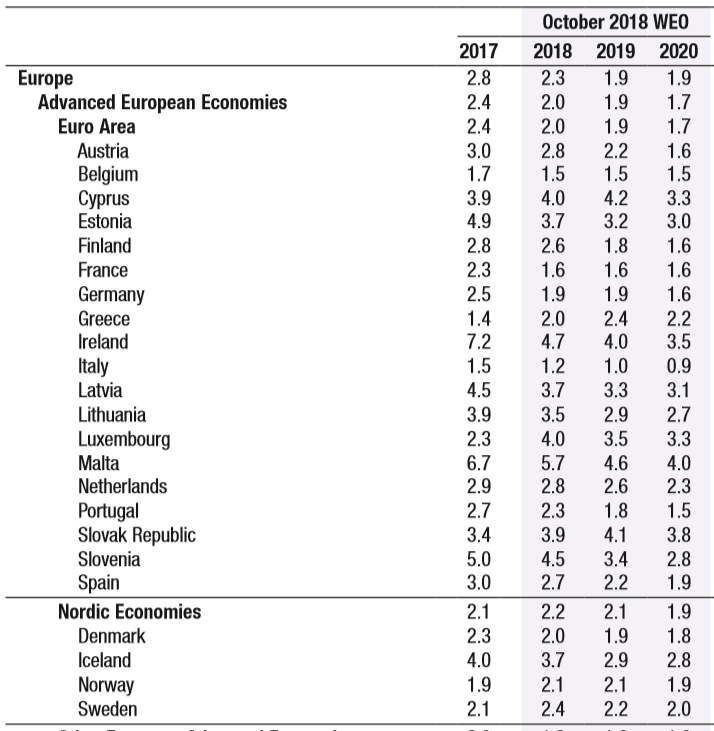 We wrote at the end of last year that both the European Commission and the IMF are forecasting lower GDP growth in Europe in 2019 and beyond.